Mising tribesmen inhabiting the Laika and Dodhia areas of Dibru Saikhowa national park in Upper Assam has been struggling for survival space due to continuous flood and erosion coupled with government restrictions since last year. They have been met with opposition from the locals that include indigenous groups and colonial era migrants whenever they were trying to settle down in government notified forest land over last one year. 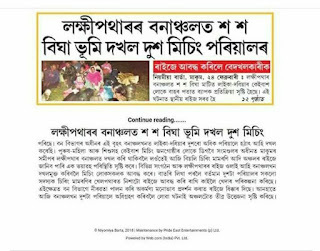 Some section of Assamese dailies have reported the news in a most disparaging manner with the use of words such as khedar parikalpana korise (planning to chase away), khedi pothiouwa (chased away) while reporting the incidents happening in Tinsukia district. 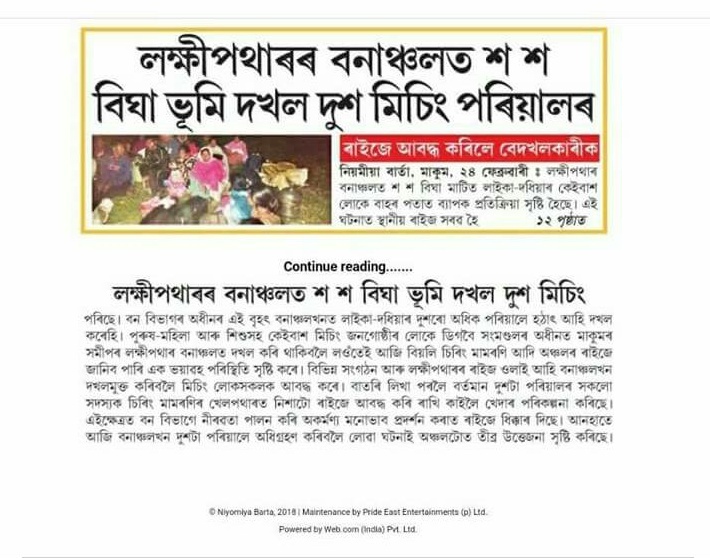 The news items with provocative content are no less than incitement to inter-group conflict given the social climate in Assam. It is against public taste of ethical and impartial journalism expected from the local Assamese language media. Apparently, the government has failed to rehabilitate the suffering people that has compelled them to look for settlement in forest areas in their own. On July, 2017 there was written understanding between the representatives of Mising student union TMPK and the government authorities that the people would be rehabilitated in eight months after similar events erupted in the district. 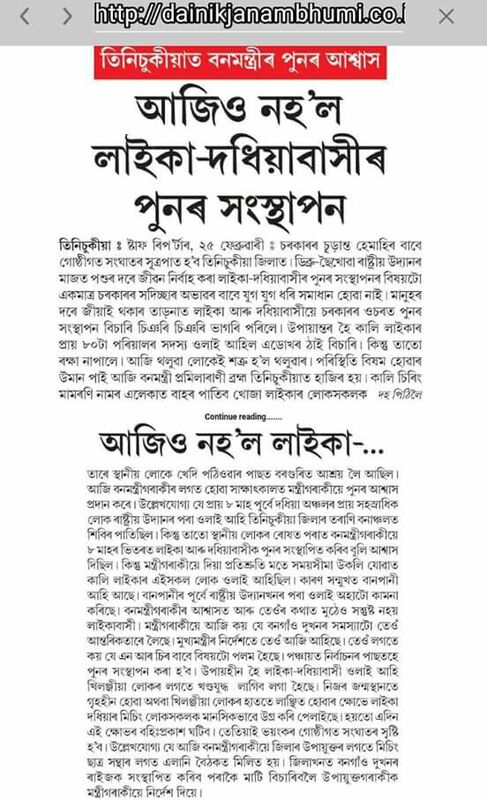 When even illegal migrants cannot be expelled forcefully by the state but have to follow the procedure established by Indian laws, it is quite disheartening that marginalized indigenous tribe like Mising are accorded with partisan and contemptuous words in the heights of plight in the Assamese language press. Flood, erosion and legal restrictions in National Park have already crippled the Mising tribesmen but some Assamese language media who are dominant in Brahmaputra Valley are celebrating the sufferings with their disparaging and vexatious content devoid of public responsibility and civility. It is no less than adding salt to the wounds. One can find the proof of content published in Assamese dailies: Niyomiya Barta and Dainik Janambhumi on 25 and 26 February, 2018.